One of the great benefits of an RV is being able to travel with “all the comforts of home” such as a refrigerator, bathroom, and comfy beds. However, staying at an RV park with amenities is always a great bonus. When you stop at a long-term RV campground serving Sweeny , such as Stonebridge RV Park, you will find a “home away from home” that will make your life much more comfortable. Finding an RV resort with free Wi-Fi and internet access is a great resource to help you keep in touch with friends and family back home. As you travel along the roads, there are many dead zones and locations where your cellphone will receive spotty or no service. In addition, you may not want to waste your battery and data package while on the road. When you reach an RV resort or campground with amenities, you shouldn’t have the problem of dropped calls, no internet, and low batteries. You can plug in, tell your family how much fun you are having, and get back to your RV camping vacation. If you have been on the road for a week or more, chances are you have some dirty laundry. 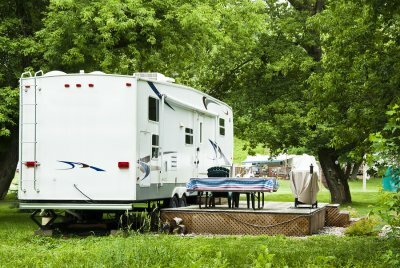 An extended-stay RV park will have laundry facilities available for their guests to wash and dry laundry. There should also be clean showers and restrooms as well as BBQ grills to cook up the food you have stocked in the refrigerator. Even though your RV vacation has probably been very relaxing, you can find further relaxing amenities at a great RV resort. Your family can take a dip in a swimming pool or relax any sore muscles in a hot tub. If you want to kick back and catch up on your favorite television shows, most RV Parks offer cable TV hookups. When you want to get back to nature, but you are not ready to leave the RV resort, you can usually find fishing ponds or walking trails for the family to enjoy. 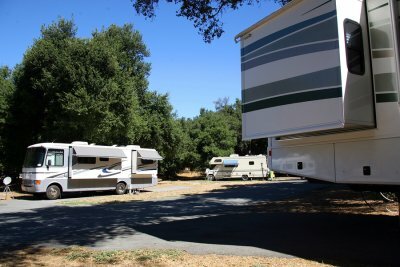 Trip Savvy shares a great story on what to expect at different types of places where you can park your RV.